Whether you are interested in adding to your existing facility or just starting up a new facility, ABCO American Inc. offers a complete line of Self Storage Buildings, both climate controlled and non climate controlled. There is no better time to buy than now: mini storage building prices are at there lowest in years. ABCO-American Inc self storage buildings offers you quality, durability, and security are cost effective and are easily maintained. 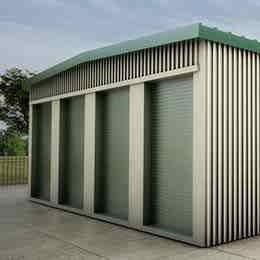 Mini self-storage buildings will allow individuals and businesses to have more than enough space for extra items or for items that require individual storage space. Engineered and designed for any building code in the US and built to quality standards. Certified drawings are included with every building. ABCO-American manufactures a variety of metal buildings that can be used for everything from commercial office buildings to airplane hangars. ABCO-American Inc. serves the US and Canada from many locations through out the US. 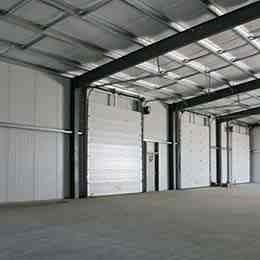 All building units are shipped as a complete material package ready to erect. 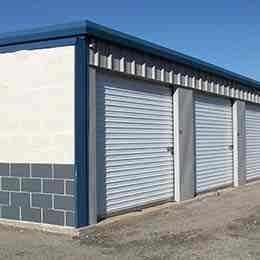 Self storage building plans are included. Buildings are designed for all building codes and certified by a structural engineer licensed and registered for the location that your building will be asembled.